The first author to put in my head the concept of a character becoming disconnected from the passage of time as we know it was Kurt Vonnegut, Jr. That character’s name is Billy Pilgrim. You can read of him or see him in the so good and subsequent film called, Slaughterhouse-Five, 1972. Both will knock your socks off. And accordingly, the movie is seldom shown on television, if at all. But I digress even before getting to topic. A Ghost Story slowly presents, to those who view it, a sense of timelessness. On its face, that’s difficult to bring off. 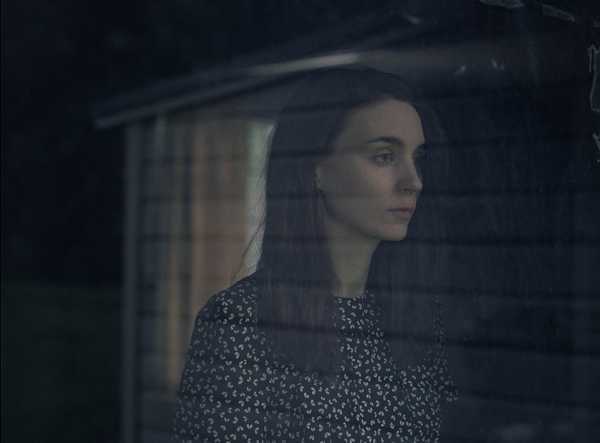 Director and scriptwriter David Lowery (Ain’t Them Bodies Saints) accomplishes the task well, although some of his strategies may leave the non-cosmic/non-mystically minded plumb cold. It’s not everyday you see a movie where a principal cast member walks or mostly stands statically, wearing a sheet — not meaning to tell a gruesome tale about the Klu Klux Klan. In fact, this ghost’s shroud has no mendacious insignia, but perfectly aligned eye holes; and it drapes all the way down, dragging out the foot tracks if ever made by the specter you readily see — all of it almost (but not quite) with a sense of comedy. Patience is key to watching this ghost story. Ms. Mara makes an Oscar baiting procedure out of eating a whole pie while sitting on her kitchen floor as Mr. Affleck, watching, stands (not sheet-less if you will) as her deceased lover now residing in another aspect of time, or whatever you may wish to call it. I like movies like this. But there not simple to make, especially when the director/writer eschews CGI. Everything I saw in this picture looked like real stuff in the back and foreground. 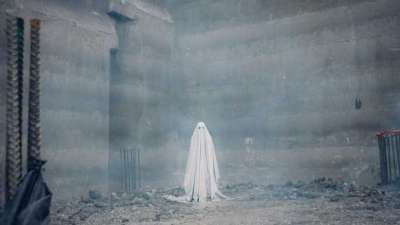 There’s a hefty dose of Terence Malick in A Ghost Story. That can be taken more than one way, as I’ve experienced some really good cinema out of Malick and some really bad. One of the bad ones had Casey’s big bro Ben in it, as I remember. Watching the film, timelessness doesn’t seem to be something you’re heading for until it’s hinted at in a short rather early scene that shows Rooney running from the home’s hallway into the living room and out the front door. The ghost, all the while, is watching in the shot’s foreground. Ms. Mara is attired differently in each pass she makes out the house; maybe her hair combed differently too. Thereafter, Lowery becomes more blatant depicting that Affleck’s ghost character has really become unhinged from clock and calendar. Backwards and forwards he seems to move while waiting for Ms. Mara’s character, still alive, to come back. The ghost doesn’t immediately seem to grasp all of that. The movie is quite personal to each one who sees it, I would say. It affected me differently than most any kind of supernatural film. It’s almost religious, or maybe better, spiritual in tone, and made me wonder about things I usually don’t ponder much. 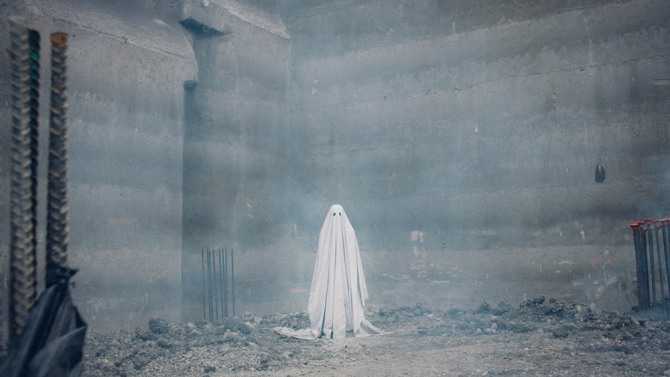 Maybe a jest in closing: A Ghost Story is not spooky. You’re pulling for the ghost and he’s… if gender is now important at all in the case of the film… not about to really hurt any living person. Although he might become P-O’d about something and make things crash on the floor or wall and snap the lights off and on. No, this motion picture was not a location shoot on planet Tralfalmador.